Be VIPs At West Midland Safari Park! 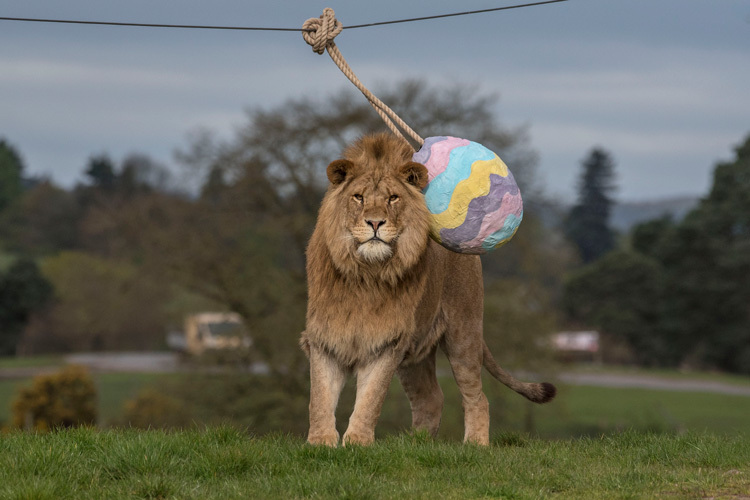 Make Easter egg-citing as the Easter Eggstravaganza is back at West Midland Safari Park until Sunday 28th April 2019. Plus, we have the chance for you to visit the park as VIPs! Have a fun day out with your little egg-splorers and help them follow the Easter Trail around the park. Then once you've cracked the code, you'll earn a chocolatey treat. Over Easter, West Midland Safari Park is opening earlier at 9.30am, giving you even more time to look around and see the lions, tigers, elephants, penguins, meerkats and even dinosaurs! Drive through the safari and see which animals you can spot through your window, then jump out the car and explore the Discovery Trail on foot, all before heading to the Adventure Theme Park for loads of thrills on the rides. Win A VIP Tour For Four! Have a fantastic day out with all of the animals on us, as we have a VIP Tour Experience for up to four people to be won at West Midland Safari Park. You'll be welcomed by your private guide who will take you on an animal safari before the park even opens, giving you the chance to learn loads of fun facts about all the species in the safari. Then it'll be time to feed the animals, meet the keepers, and put on your wristbands for access to all of the great rides in the Adventure Theme Park. After feeding the animals, you're sure to be hungry too, so there will be drinks and snacks in the morning, along with a tasty lunch in the Dino Diner for all the family to enjoy. *Entrants must be 16 or over. Prize must be used by 8th November 2019, subject to availability. This competition is running across Heart West Midlands and Smooth West Midlands with one prize and one winner only. See full ts&cs for all details. Q: Which animal is said to be King of the jungle? Do you want to be the first to hear about news, special promotions, and offers from Heart by email? Please tick if you would like to receive special offers and updates about events and animals at West Midland Safari Park. You can opt-out at any time.